The night will feature a collection of timeless carols, original songs and stories, which celebrate the magical Christmas season when families come together from near and far to share gifts of peace, joy, faith and love. The holiday season is also a time for giving to the needs in local communities. In each city that the tour visits, Stars and Promises partners with a local charity to raise funds for those in need and contributes 10 percent of its product sales to a chosen charitable cause. Mission BBQ is the major concert sponsor. Tickets are $25 and are available at iTickets.com, petermayer.com, BerksCountyParrotHead.Club, or by contacting Crime Alert Berks at 610-375 4747 or [email protected]. Tickets will also be available at the door. Doors open at 6:30 p.m.
Mayer and his ensemble were the featured performers at the 2015 and 2016 concerts, both held at the DoubleTree. Crime Alert has presented an annual holiday concert for the past six years. The shows have been organized by Denny Lorah, a long-time Crime Alert board member and president of the Berks County Parrot Head Club which has sponsored the shows. 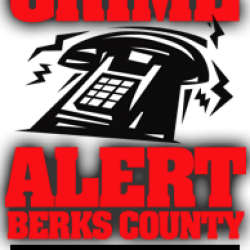 Over the past years, these shows have raised thousands of dollars for Crime Alert Berks County. The Crime Alert board encourages concertgoers to dine at one of the many fine downtown eateries prior to the performance. Dinner will also be served at Cheers! at the DoubleTree, but seating is limited and advance reservations are advised. Mayer is joined by a world-class ensemble of musicians. The group covers a wide array of musical styles, moving effortlessly between folk, bluegrass, Celtic, jazz and classical notes with instruments that include piano, guitar, mandolin, violin, native flute, upright bass, drums and percussion. The music is accompanied by a production team that delivers exceptional lights and sound to capture each performance. Additionally, a live recording of each show is made available for sale immediately following the concert. The musical performance is accompanied by a beautiful stage production, lighting and pristine sound. The ‘Stars and Promises’ tradition is a celebration of story and song that rings in the Christmas spirit.